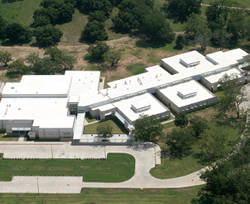 Established in 1985, Flex Roofing Systems (Flex Membrane International Corp.) pioneered the manufacturing of modified PVC single ply roofing membranes incorporating DuPont™ Elvaloy® KEE, a unique plasticizer that keeps the material indefinitely flexible, while making it highly resistant to environmental and temperature extremes and exposure to a wide range of chemicals and pollutants. 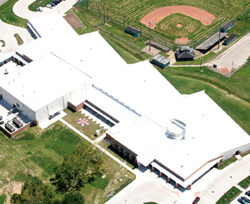 When it comes to thermoplastic single ply membrane roofing systems, Flex is the expert of choice for architects, contractors and specifiers who won’t settle for anything but the highest industry standards. Why? Because it’s all we do. What’s more, our roofing systems are installed only by certified installers with full training and experience with Flex products and techniques. This ensures our customers get peace of mind along with product quality and expertise. At Flex, we go the extra mile with each customer. Exceptional response time, personal attention, detailed technical knowledge and hassle-free delivery go into every project we touch, no matter how complex the criteria. All Flex roofing systems include a full range of accessories, supplies and tools, along with all required technical information and specifications. That’s why Flex customers trust us again and again for everything they need, start to finish, for every thermoplastic single ply roofing job they install.